Heya everyone! Hope you have all had a fabulous week. 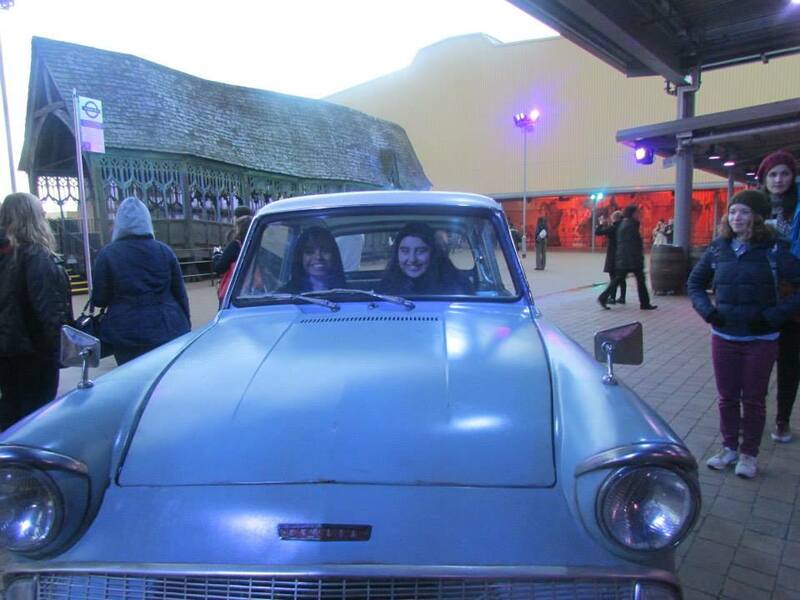 So on Tuesday (7th January) my cousin, brother, Mum and I all went to the Harry Potter Tour at Warner Bros Studios in Watford London. 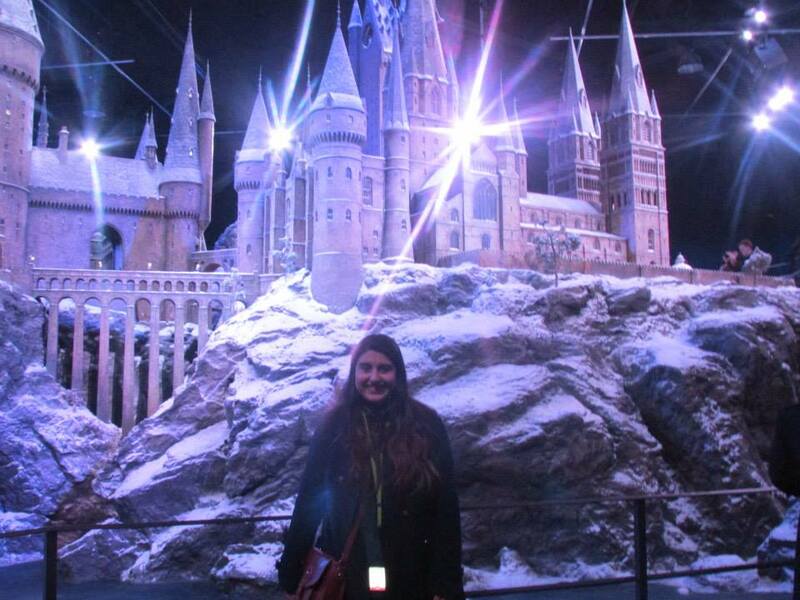 As a huge Harry Potter fan this was absolutely amazing for me. 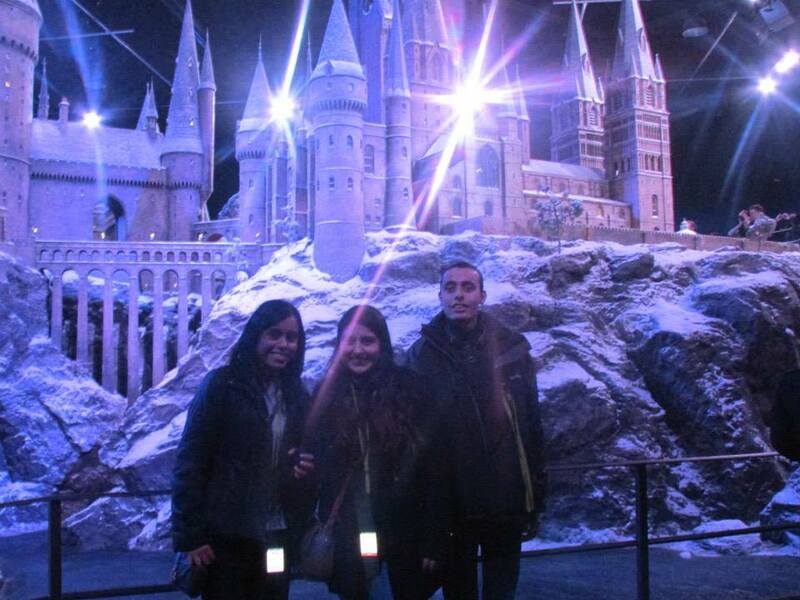 It was also my cousin's final day in the UK as she had to return back home on the 8th January, so it was a perfect final day and we all had an incredible day. 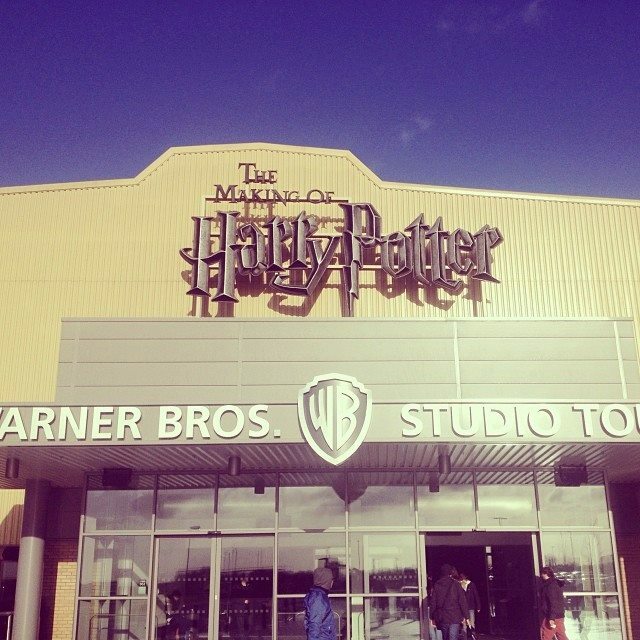 I definitely want to go back. I was slightly disappointed we didn't make it on time to see the studios decorated for Christmas but nonetheless I had a fantastic time and definitely plan on going back soon. As you can probably guess I ended up taking quite a lot of photos and I thought what better way to share them than to do a blog post about it! This post is pretty photo heavy so please do continue scrolling till the end and I will contain more information after the photos! ENJOY!! 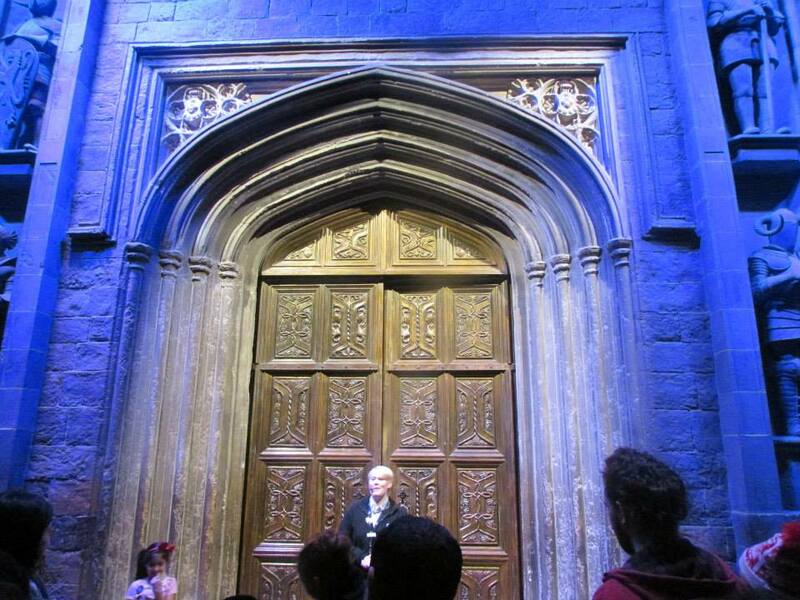 The Great Hall was honestly spectacular. I saw a couple of young children open mouthed, like they couldn't believe what they were seeing. It was so nice to see! 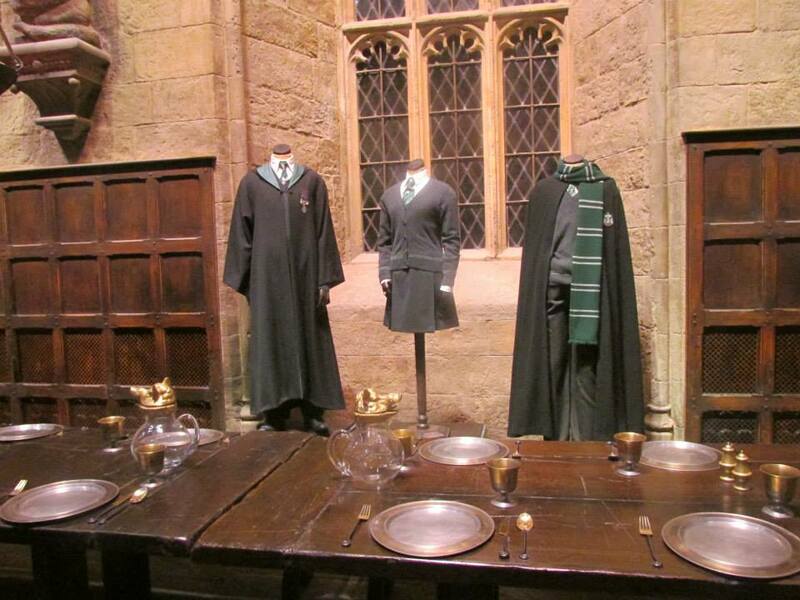 I loved how they had the tables set for actual meals. 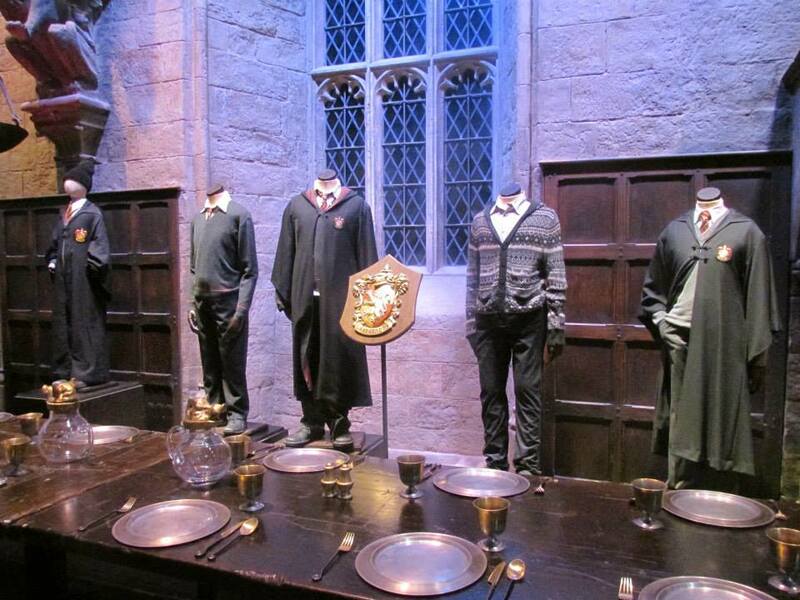 The teachers table at the top of the hall was amazing and I love how the had models of all the teachers such as Mad Eye, Dumbledore, Snape, McGonagall and obviously the famous Hagrid. Behind the table was a window and even though I wasn't able to capture it on camera (disadvantages of not being a youtuber) they had a falling star affect which was amazing. 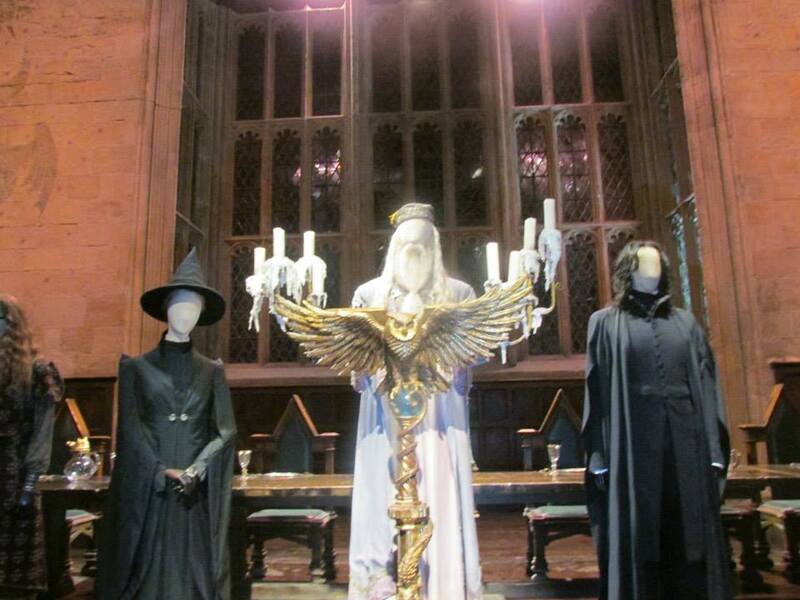 The Yule Ball section was pretty beautiful. 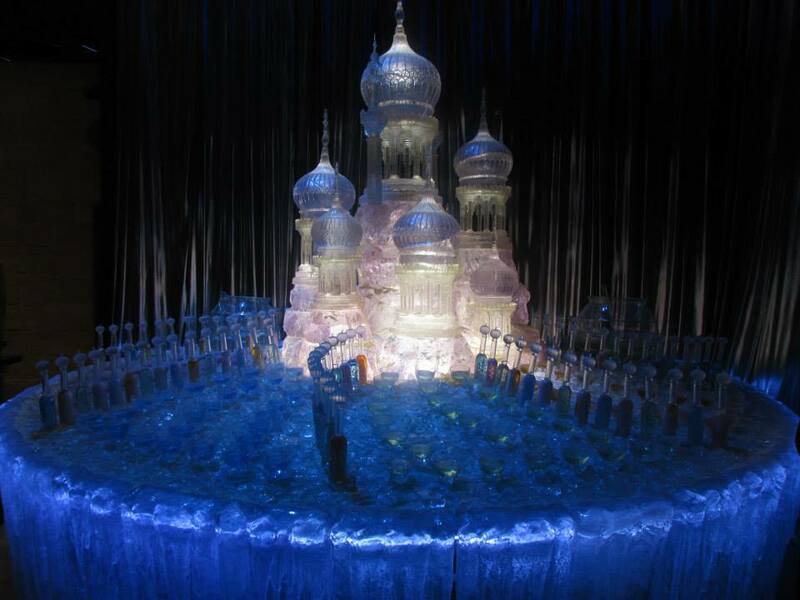 I absolutely loved the crystal setting with all the glasses and the actual clothing Ron, Harry, Hermione, Cho and Victor Krum wore. Everything here was what was actually used. Including all the chocolate on the table. 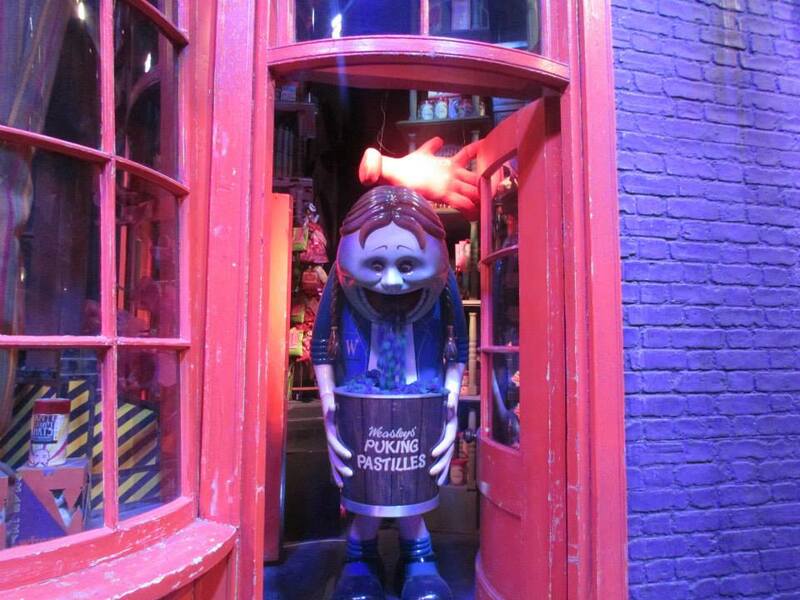 Well actually, it wasn't real chocolate but you get what I mean. When I was listening to the digital guide, however, it was mentioned that actual chocolate was provided for the cast to eat, so I can imagine they had a great time! 'You're just as sane as I am' Ring a bell? 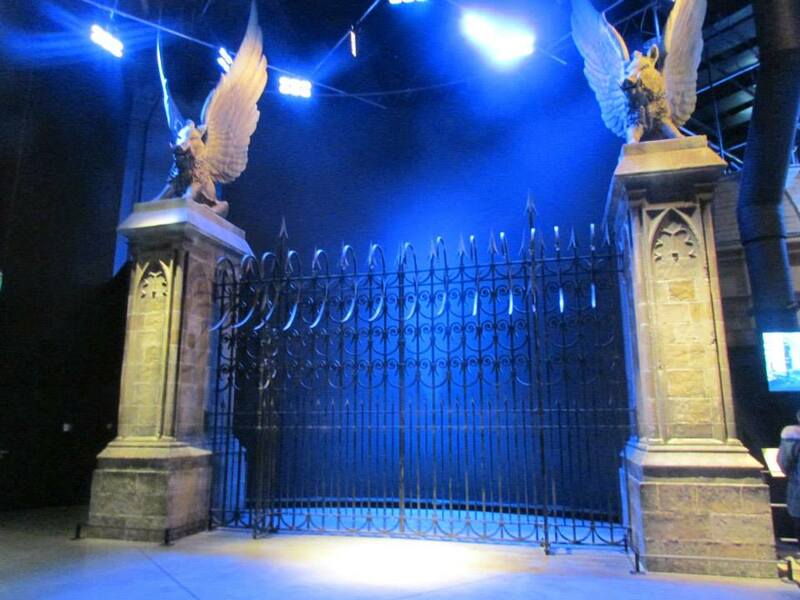 This is Hogwarts Entrance Gate that was provided at that scene and is actually seriously incredible when you see it in person. 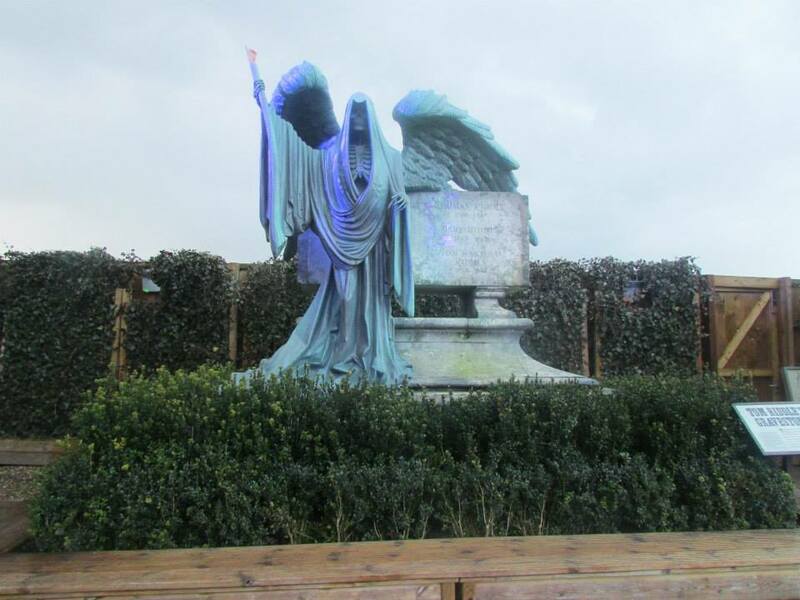 I did have a photo taken in front of it but it my mum zoomed in so I thought this one would look better as you get to see the whole thing. 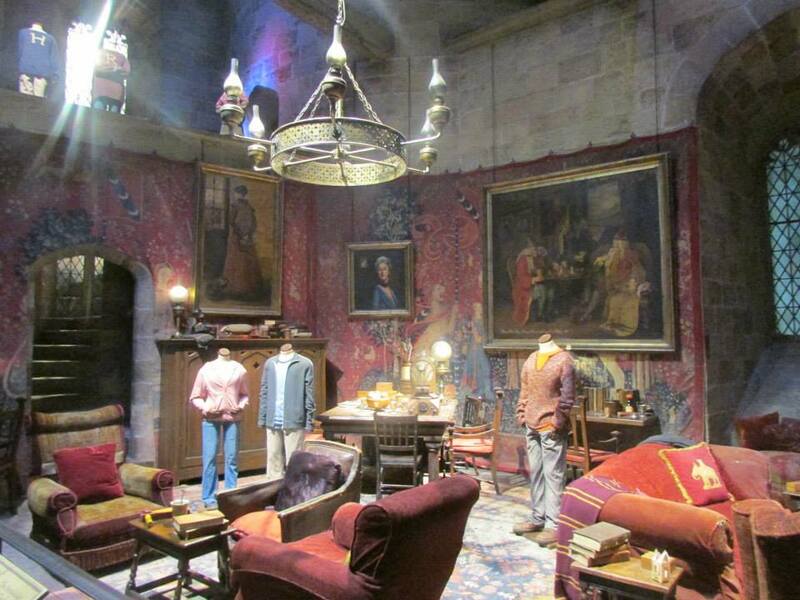 The Gryffindor Bed Chamber was pretty amazing. 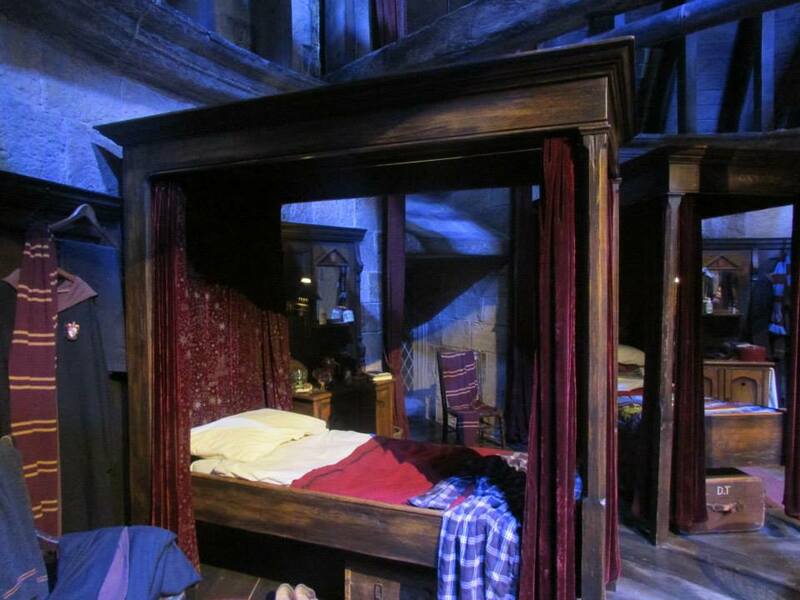 These beds were actually made especially for the first film but they were used in all 8 films. However it was mentioned that they were made for 11 year old boys. 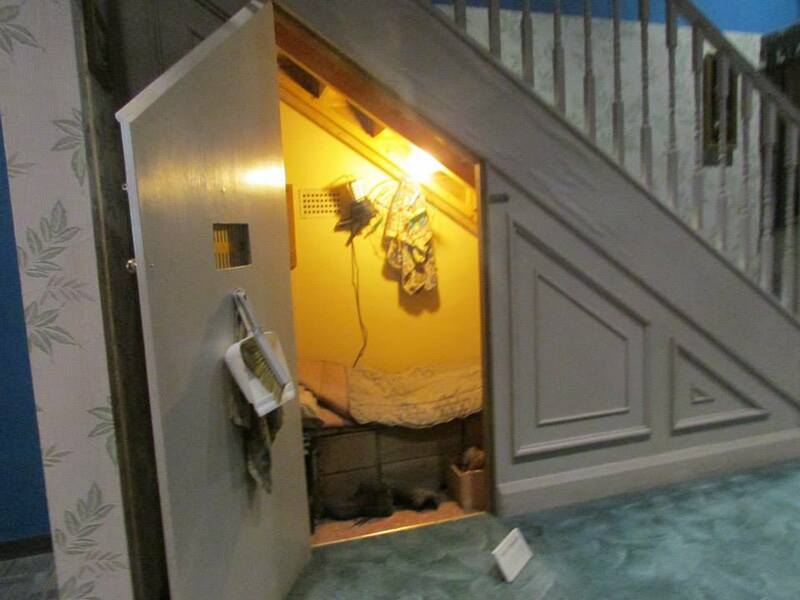 By the end of the films they had all grown up so when they were in the beds they actually had to curl up to make it look like they still fitted in them. The wonders of movie making! 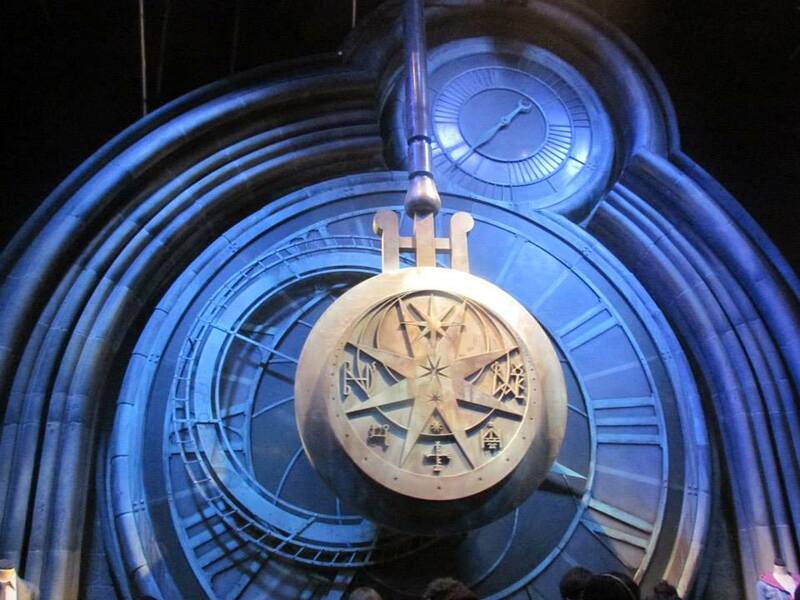 This is the dial that was used in the 3rd film when Harry and Hermione went back in time to release Serious Black, the scale of this set was pretty spectacular and I loved how it actually moved left to right as well. 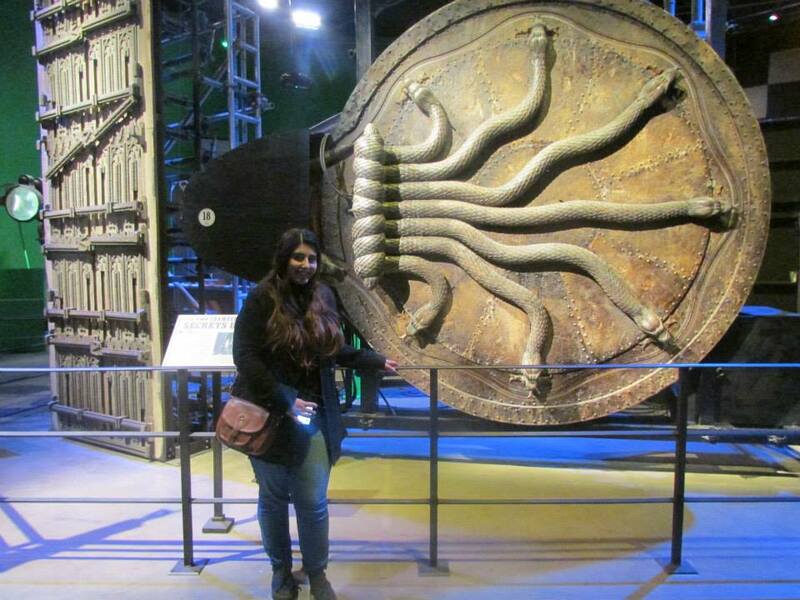 The Chamber Of Secrets Opening was also beautiful in person. 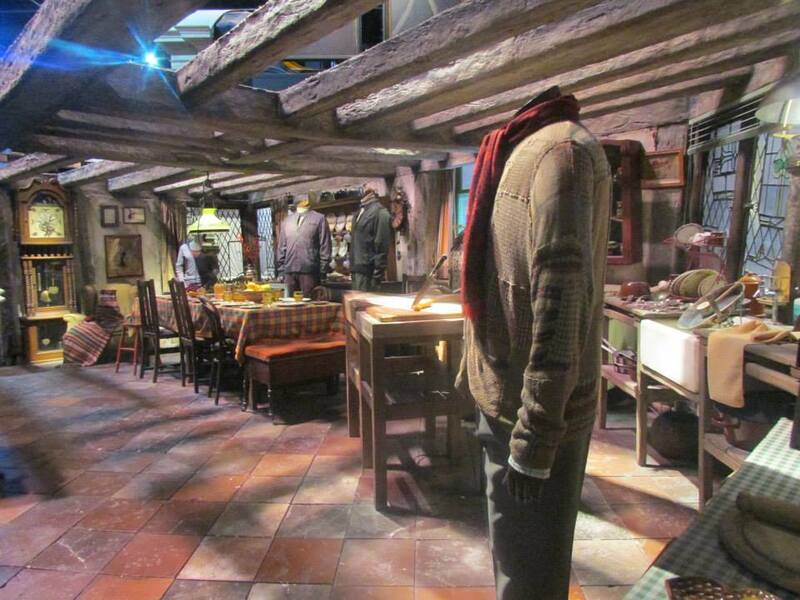 Like in the film they had a snake go the whole way round too which I loved as it made it look so real! Unfortunately I couldn't capture this on camera. 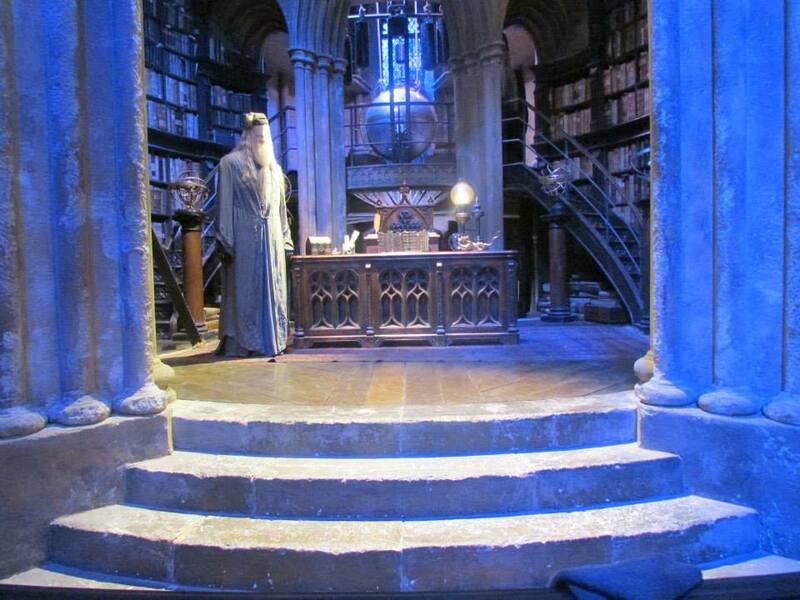 Dumbledore's office was pretty spectacular. 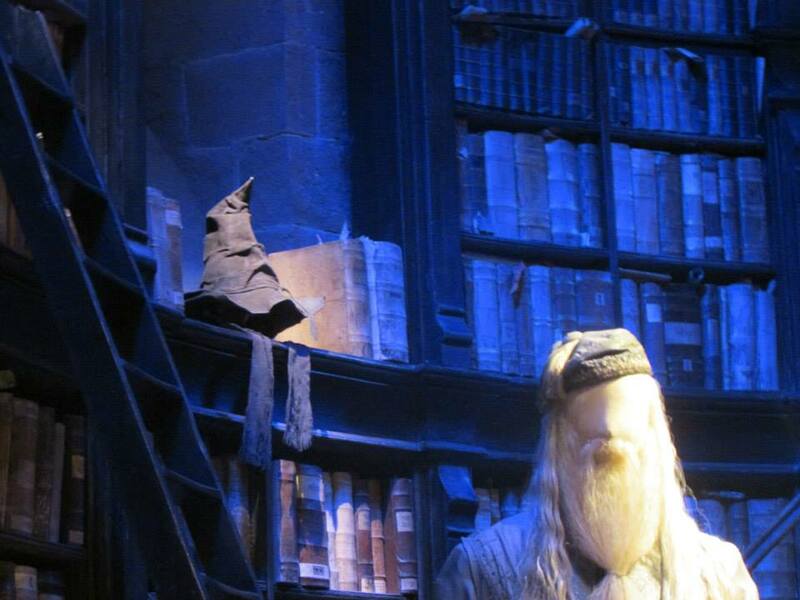 Again you had to spend time looking around here to find the Sword of Gryffindor, 2 Dumbledore's and obviously The Sorting Hat. The different cabinets have so many gorgeous and unusual objects in as well. 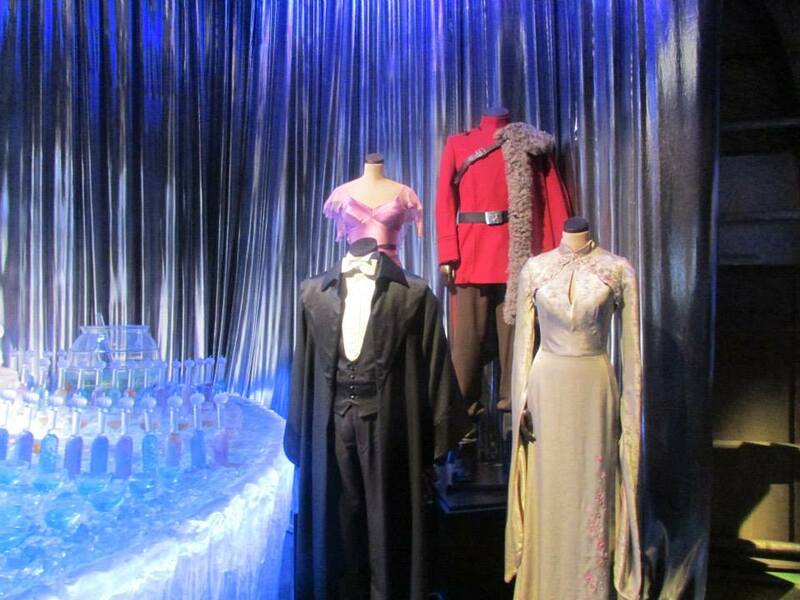 I particularly loved the memory cabinet as it was gold and so incredible beautiful. 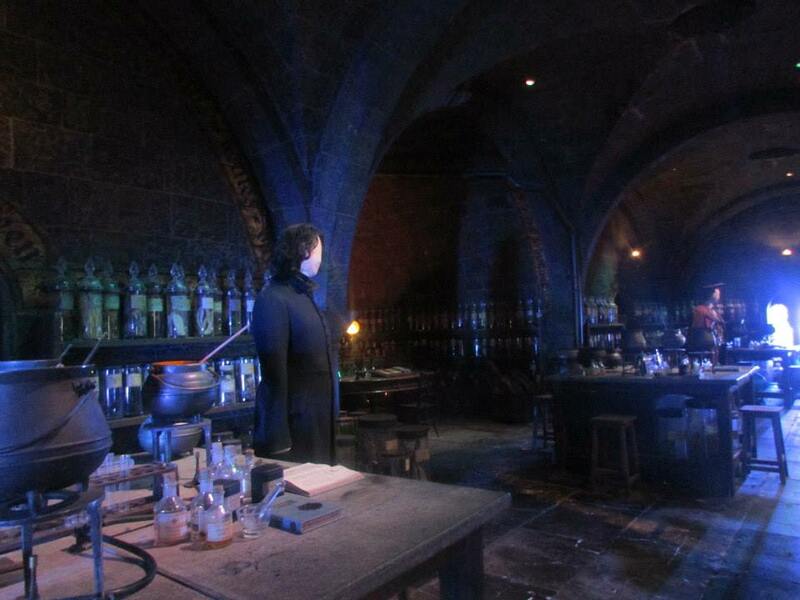 The Potion's Classroom was pretty amazing too. 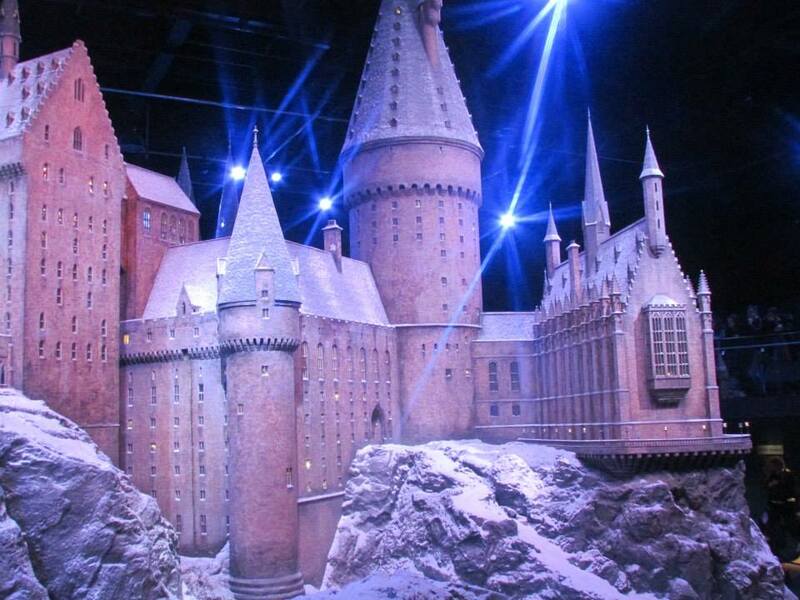 However the one thing I found really interesting about this particular set is that it has actually been used in other movies too and wasn't just used as the classrooms. 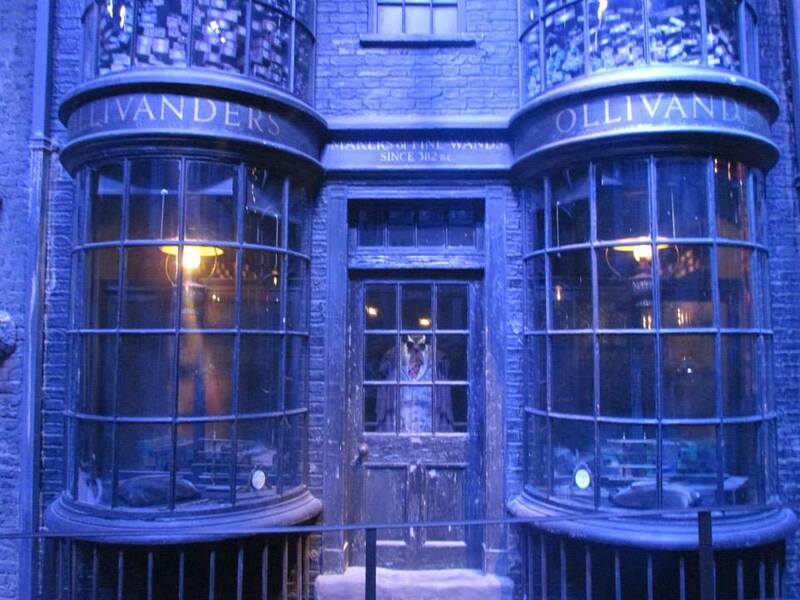 That in all fairness didn't really surprise me because there are not that many scenes in Snape's classroom is there? 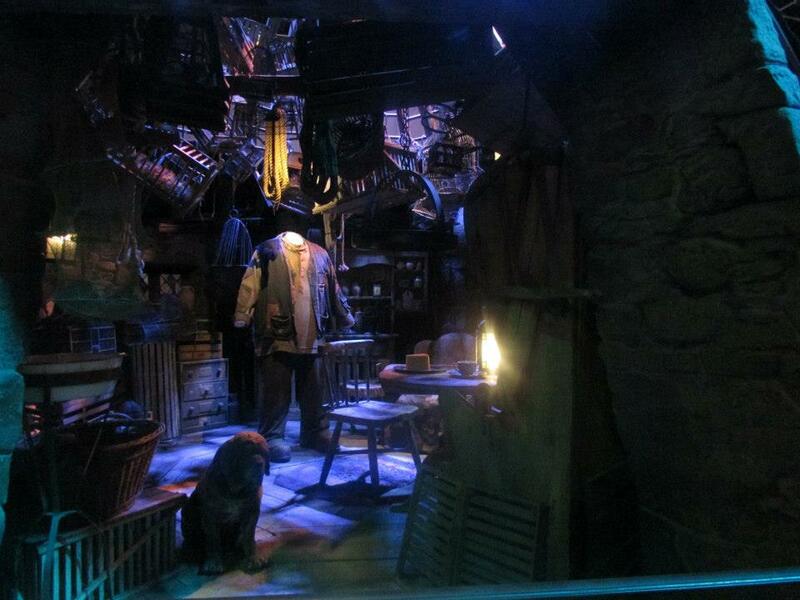 I loved Hagrid's Hut too! 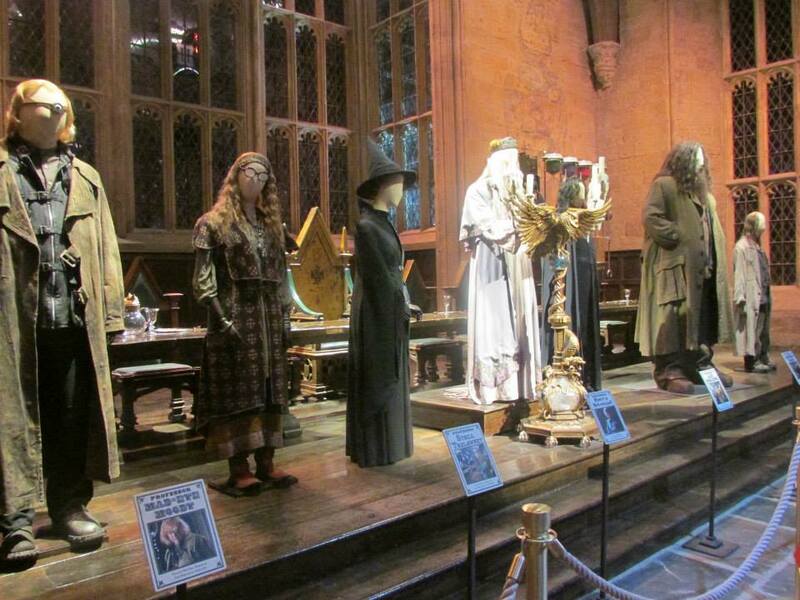 I loved how they had a real model of fang and the size of Hagrid. 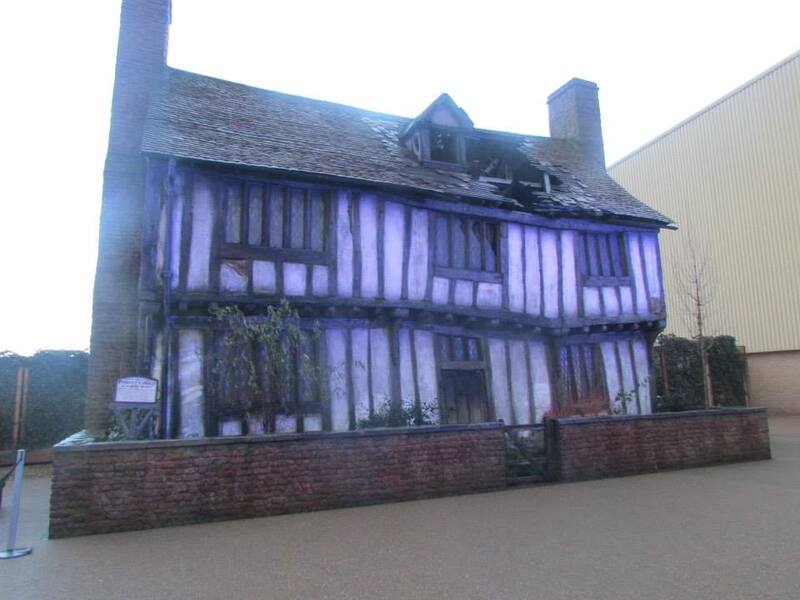 An interesting fact about Hagrid is that the actor who played him had a stunt double. The stunt double was a Rugby Player who was 6 foot 10!!! Insane! 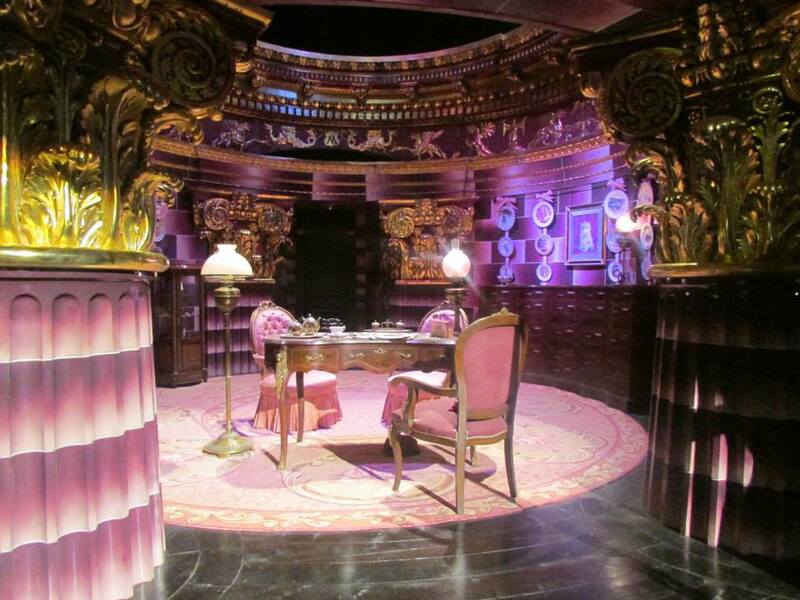 I also loved how pink and girly Umbridge's office was. I loved the little plates on the wall that contains photos of puppies and kittens too. So cute. 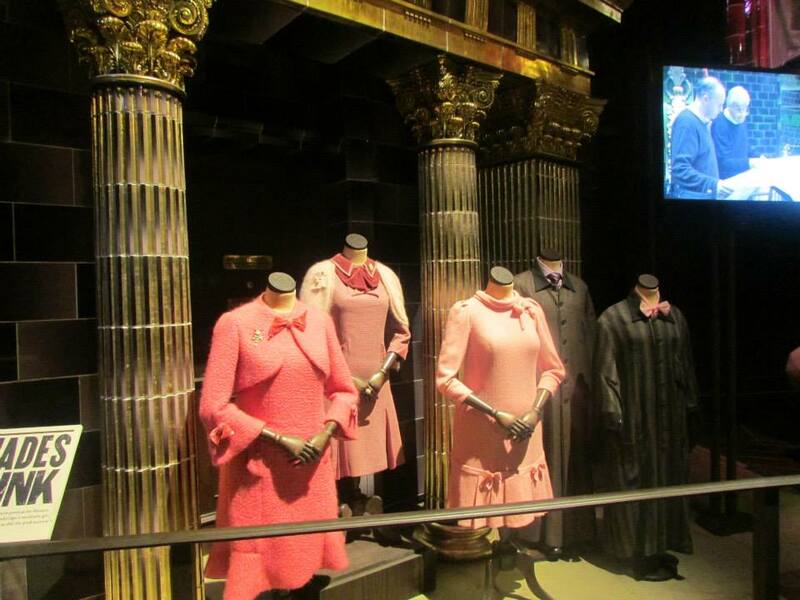 I also loved the section they had of all the different outfits she had worn in the film as well. 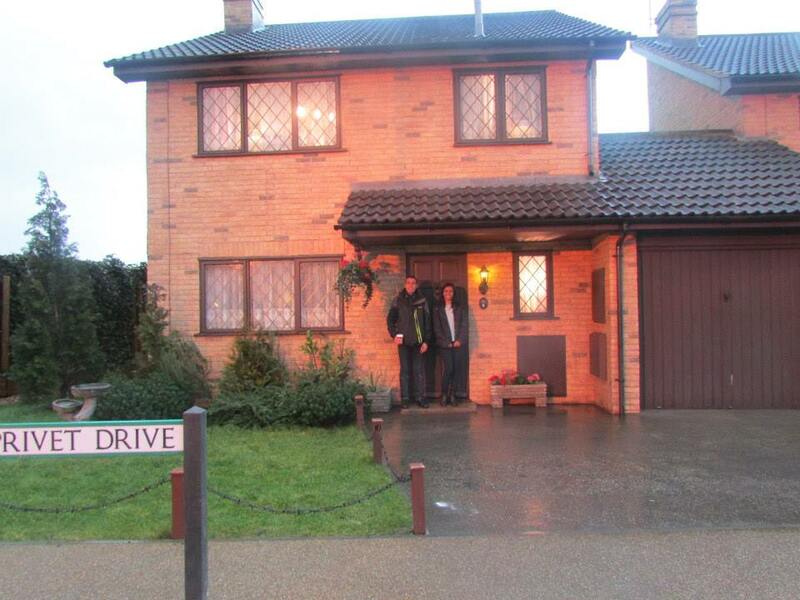 They then had a section outside where you could buy some refreshments and the famous butterbeer, which unfortunately I didn't try as the queue was so long, got to have photos on the Night Bus and the Flying Car, outside 4 Privet Drive, near the Hogwarts bridge which was unfortunately closed on this particular day, outside the house where Lily and James lived and then again before you head back inside near some of the props that was used for the Chess scene in the first film. 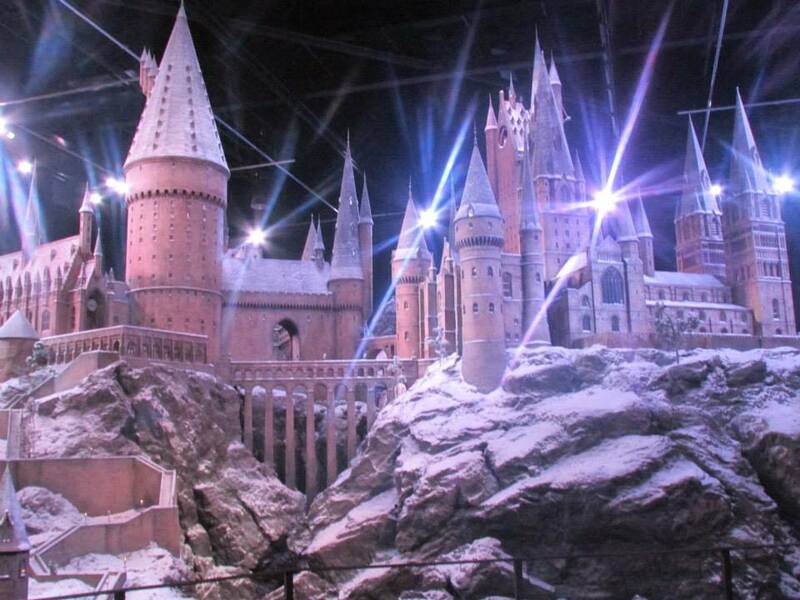 Amazing sets and props. 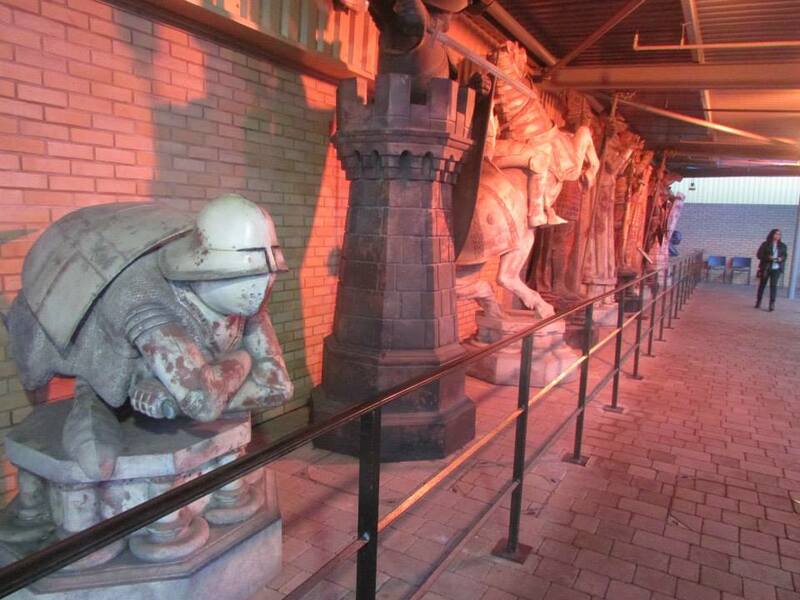 We then headed back inside where you could walk through to Diagon Alley which was INCREDIBLE! 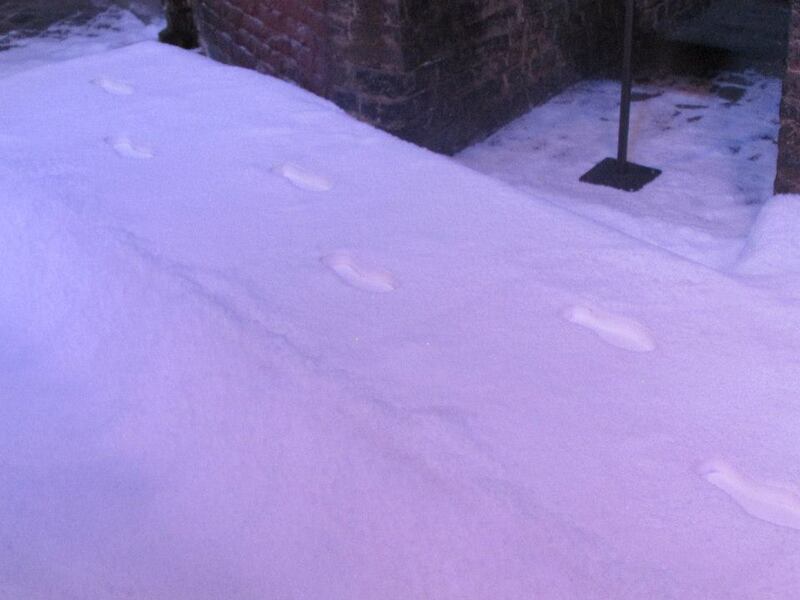 I absolutely loved the footprints in the snow which was Harry walking through in his invisibility cloak, the exterior of Olivanders and obviously the puking pastilles display outside the weasley's shop as well. They would have come in handy for skipping a few lessons at school I'm sure! Genius idea! 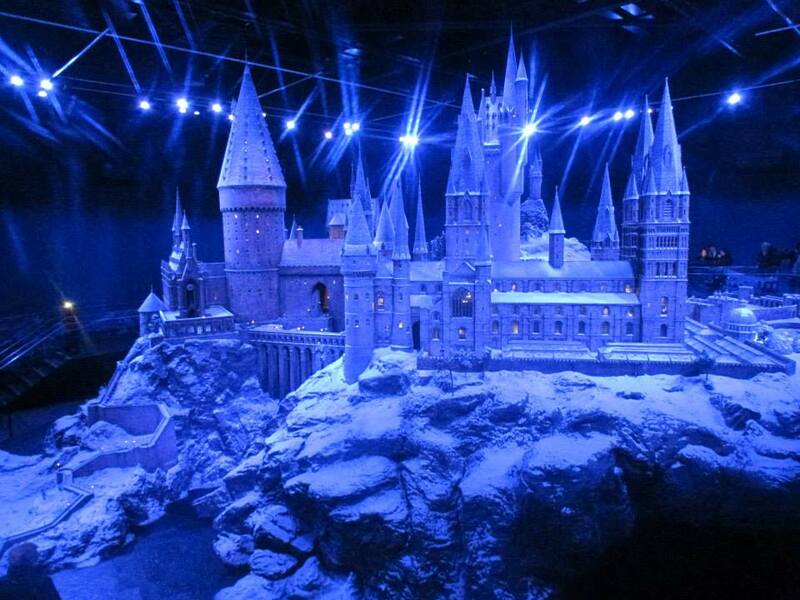 The final section was the Hogwarts Castle which is a 1:74 scale model. 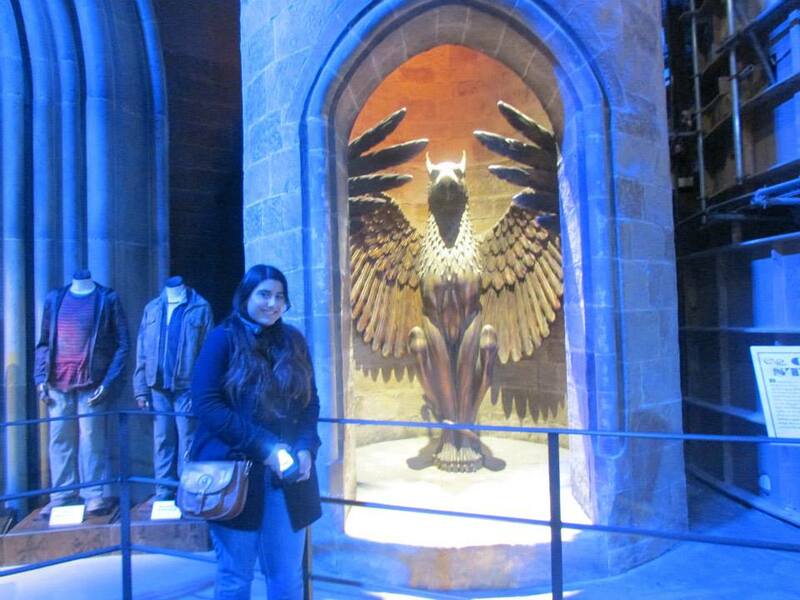 It was absolutely amazing and is so much bigger than anything you would expect. I originally thought it was a small model in a glass case. I don't know why but that is what I was expecting to see so obviously to see this exceeded my expectations. 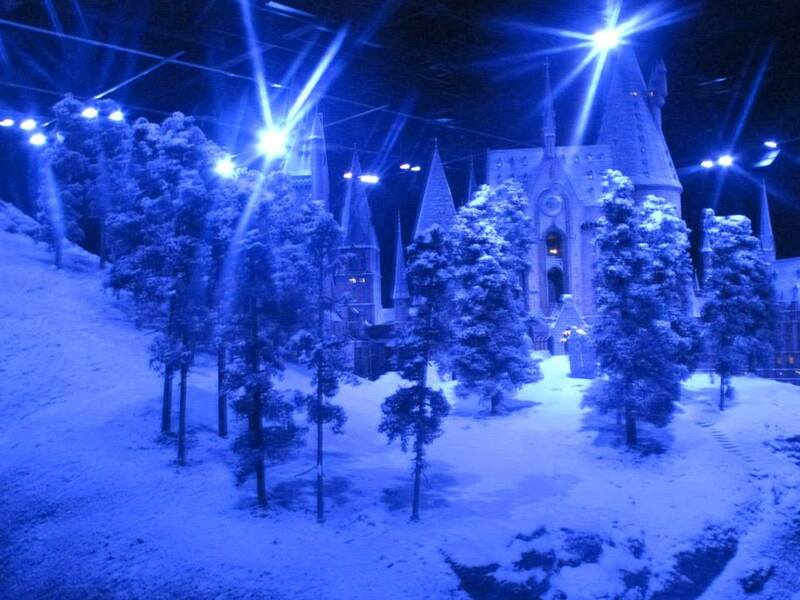 I also loved that the lights alternated to day and night so you had a glimpse of what the castle looks like in both. It was truly amazing. 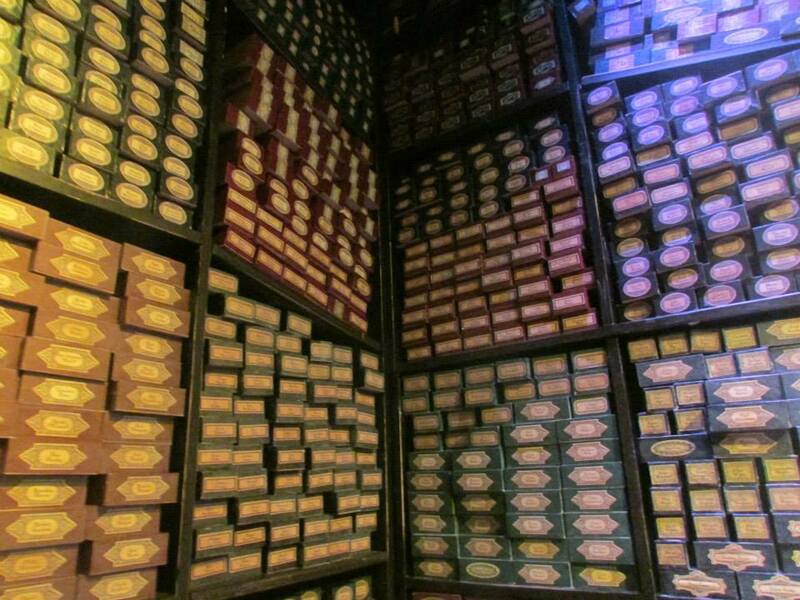 The final FINAL section was a room that contained thousands of wands! 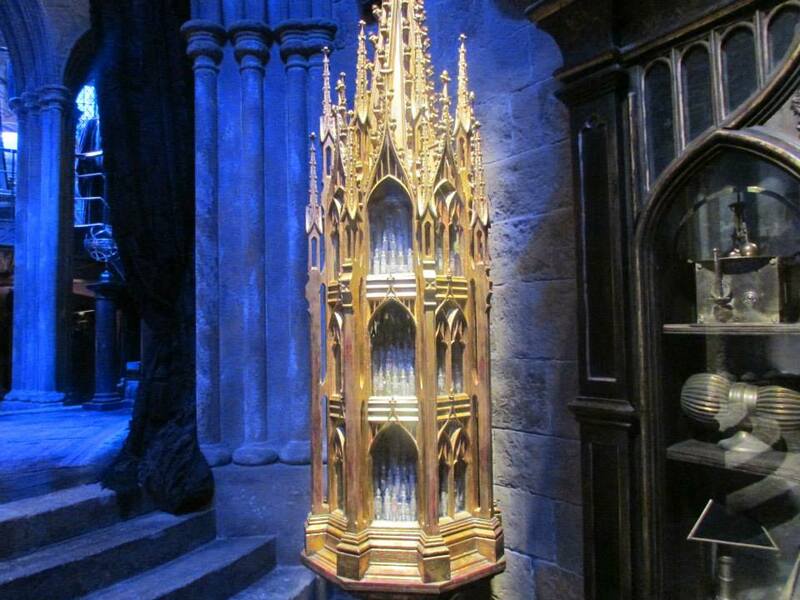 This wands contained names of all the main cast and crew that worked on the films. Truly truly amazing and it just makes you think how much work went into making these films. I think it's truly worth all the success it has had. 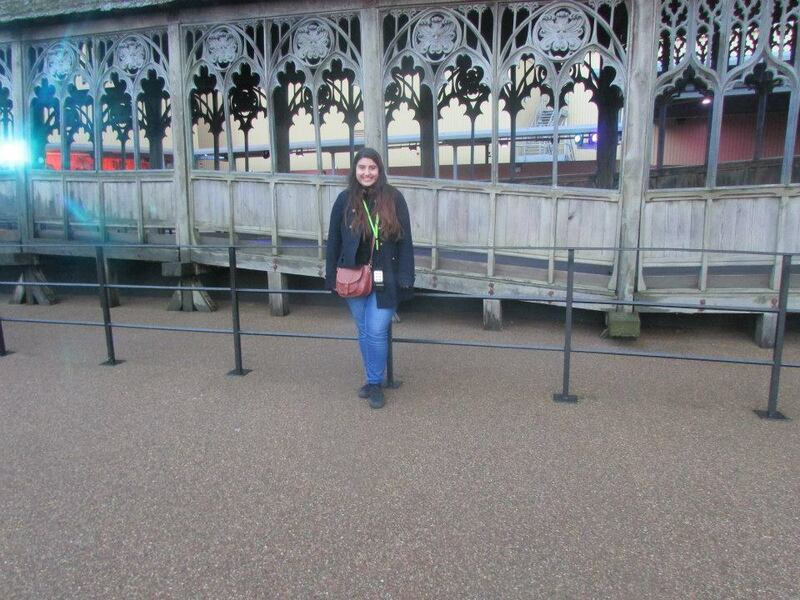 After this there was the giftshop where I didn't buy anything, however I will be purchasing a Gryffindor scarf in the future. You know, as my last name is Griffin and that. Yes you can imagine how much I got and still do get teased! 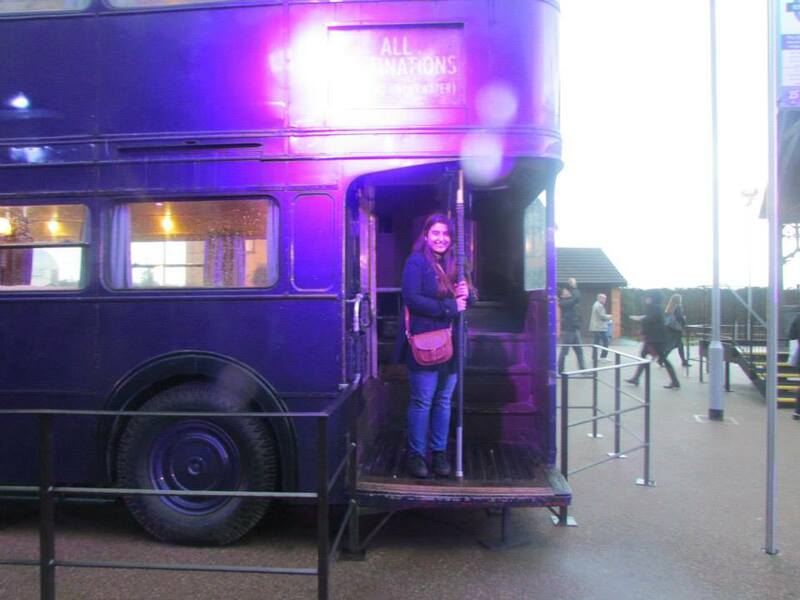 Overall it was an absolutely amazing day. 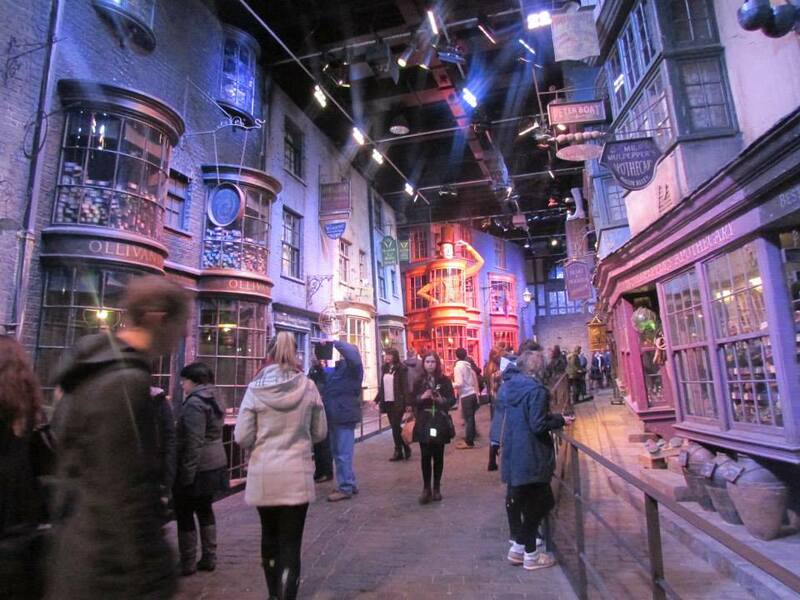 I can't believe I finally got to go and experience these studios live. I definitely plan on going again! If you haven't been I would highly recommend it! If you already have been let me know what you thought below!